Industrial NetMedia is happy to announce the launch of a brand new website for Mazco Products and Services, featuring the innovative Safe-T-Stopper line stopper tool. Safe-T-Stopper was developed by Mazco as a way to quickly and efficiently remove service tees while the main gas line is running, without releasing product. This is safer for employees and better for the environment. Along with Safe-T-Stopper, Mazco has also developed the Safe-T-L-Stopper, which removes elbow swing joint service connections. Mazco owner Ivan Mazur developed these products in response to a need that exists in the natural gas industry. He realized that millions of service tees and compression fittings used in utility gas lines across North America all need to be serviced and replaced on a regular basis. Before Safe-T-Stopper, the only safe way to do this was by stopping the main gas line. Safe-T-Stopper doesn't require the main gas line to be stopped. Instead it interrupts the supply of gas so service and maintenance can be safely performed without exposing workers to a hazardous gas-rich environment. For Ivan, worker safety was the most important factor in developing these tools. Natural gas is highly flammable, as well as being potentially harmful to the worker and the environment. Ivan's goal was to reduce the risk by eliminating the release of product. Safe-T-Stopper features up to 80 psi stopping operation and works with various sizes of service connections for pipe type service tees, Mueller No-blo service tees, street tees and other manufactured tees. Safe-T-L-Stopper is designed for elbow swing joint service connections from threaded couplings on the main line or on the pipeline wall. 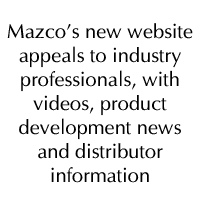 The new Mazco website is designed to appeal to industry professionals. 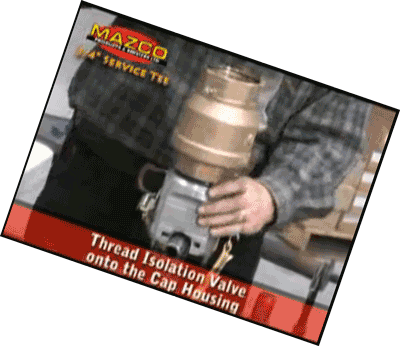 It features videos of the Safe-T-Stopper in action on various types of service tees, a blog with news about new Mazco products in development and information about local distributors. To learn more about Mazco Products and Services, visit www.mazcoproducts.com.